If you’re creating an application that you want to distribute to the public, the best way to do so is to upload your application to Google Play. Google has help specifically aimed at developers, so if you have any questions not answered by this article, it’s a great reference: Google Play for Developers Help. There is also a very useful document entitled: Publishing Checklist for Google Play that discusses what is required to publish to Google Play. For an in-depth walk though of Google Play and the entire publishing perspective, please read the Publishing section of the Android developer documentation. It will walk you through all aspects of the publishing phase of development, as well as the Google Play developer console. Note: Before publishing it is important to decide whether or not you want to charge money for your application. More information on this decision can be found in the You can’t charge for previously published free apps knowledge base article. The first step in publishing is to register for Google Play at the Google Play publisher site. The process is relatively straightforward and should only take you a few minutes. Note: There is a $25 USD charge to register. Are you going to Sell your App? If you want to sell your apps, instead of offering them for free with ads, you also need to set up a Google Wallet Merchant account as described in the Getting Started with Publishing article in Google Play’s help. Note: We recommend turning ads off when selling your app on Google Play. Your final Viewporter™ application file (APK) to be uploaded. It must be under 50MB in size to be accepted. The title for your app (max 30 characters). A description of your app (max 4000 characters). High-res icon, 512 x 512 32-bit PNG (with alpha). Optional promo text (80 characters) and promo graphic. Promo graphic needs to be 180w x 120 h JPG or 24-bit PNG (no alpha). Screenshots: Only 2 are required, but you can upload a maximum of 8 screenshots per type. Types include “Phone”, “7-inch tablet” and “10-inch tablet”. Feature graphic: 1024w x 500h JPG or 24-bit PNG (no alpha). Information on taking screenshots can be found in the How to take screenshots of your application knowledge base article. Once you’ve registered, you can log in to your Google Play developer account and begin publishing your application via the “+ Add new application” button. The first thing you’ll see is a dialog asking for the default language and the title of your app. You’re then presented two options “Upload APK” and “Prepare Store Listing”. The one you start with is up to you, but for this article, we’ll assume you’ll choose the upload first. 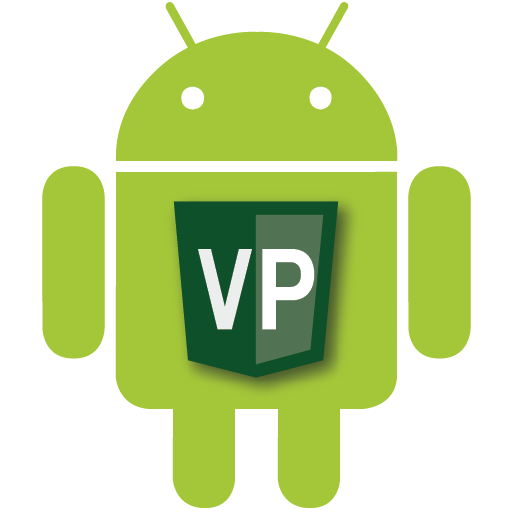 This step is the process of uploading your application’s Android Package File (APK). Click the “Upload APK” button, and browse for your application file to upload. You’ll see a “Save Draft” button on the dialog box after you upload the APK. Once you complete this step, you’ll see a checkmark listed beside “APK” along the left hand side of the screen. The next step is to prepare your store listing. If you’ve entered all of the required information, you’ll see a checkmark listed beside the “Store Listing” along the left hand side of the screen. The next step is to complete the “Pricing & Distribution” details. You can learn more about graphic assets in the article Graphic and Image Assets in Google Play’s help. Information on taking screenshots can be found in the How to take screenshots of your application knowledge base article. In this section, you define the pricing details for your app (free or paid), where you want it available, and consent options. When you’re finished, save your changes and if you’ve entered all of the required information, it will show a checkmark next to “Pricing & Distribution” along the left-hand side. If you’ve submitted all of the required information, a “Publish this app” button will be enabled on the page. Your application should appear in the store usually after a few hours (but could take longer). If you’ve included AdMob in your app, don’t forget to “link your app” which you can normally do about 24 hours after it’s been published. If you want to go back to edit your listing, or upload a new version of your application, you can. When you make your changes simply save them and they should be live in the store in twenty minutes or so. Note: This can sometimes take quite a while, so be patient.